Many people who are looking to make the move off-grid often wonder about the appliances they can run with solar powered battery storage. 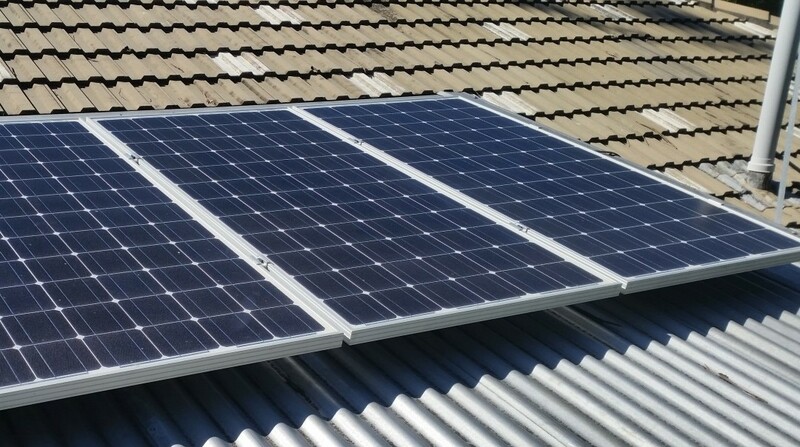 We have a 5.4kw system consisting of 24 north facing panels with 16 x 100 Amp hour batteries which generates an average of 250 Amp hours a day providing us with 7kw of generated power. We have two systems. One with 1.9kW input, and the other has 3.5kW input. The 7kWh output is from the new system(3.5kW) only. We do not have complete numbers from the old system, as it does not store historical data – and I am not getting up at midnight just to read the number. When we bought the house, it had an old solar system that consisted of just 2kw which we found was not enough. We added a new system to give us more power and we are still to add another 22 panels to give us the freedom not to think about how we are using our power and to increase our intake on cloudy days. Our future plans include installing wind and water generators so we are essentially using all the resources at hand. We run into issues when it is cloudy for several days on end but we have a diesel generator that charges the batteries, and we sometimes find the need to run if for half an hour each cloudy day and as I mentioned above, no use of unnecessary appliances. Our stove and hot water are gas, so that takes the pressure off a bit. We have found that we are not missing anything we had in our ‘city life’. Apart from having to think about how we use things, there is certainly no sacrifice or change in the way we we live our life on a daily basis.